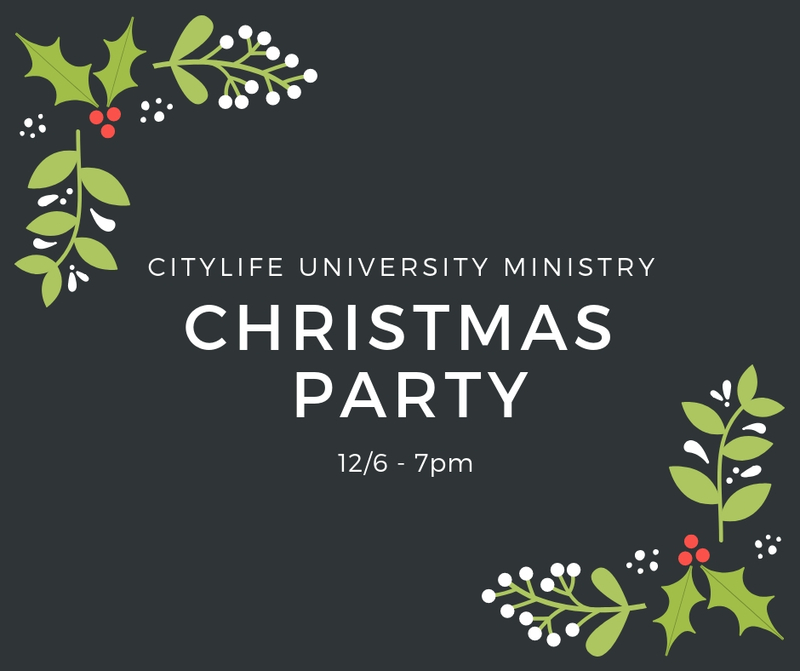 On Thursday, 12/6, our Citylife University Ministry will have our annual Christmas party at City Night Fellowship! Join us for dinner and end of the year Christmas festivities! Who: Students and friends of Citylife! All Universities are welcome! Why: This is our last City Night Fellowship of 2018 as a UM so why not be festive? !